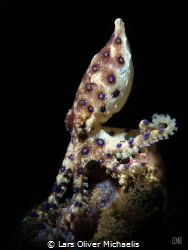 Lembeh is a fantastic place for macro photography. Lembeh Strait, Indonesia is in the Banda Sea. 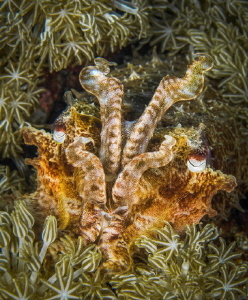 A small cuttlefish hides in a patch of coral in Lembeh.